Out this Friday on limited edition double LP and digitally is the remastered inside a quiet mind from micronism. Stepping through deep house, glitch and techno, and originally made across bedrooms in Auckland and Brisbane, inside a quiet mind isn’t a collection of songs, it is a complete album, and one which was created as such. Across 11 songs and over one hour, it is a journey across an electronic pectrum,and one which is best enjoyed in full. inside a quiet mind has been lovingly remastered by Chris Chetland, one of the founders of Kog Transmissions, and who handled the original mastering. inside a quiet mind was created by Denver McCarthy in bedrooms in Morningside, Kingsland, Mt Eden (NZ) and Brisbane (Australia). Made over two years from 1996 to 1998 on outboard equipment and computer free. 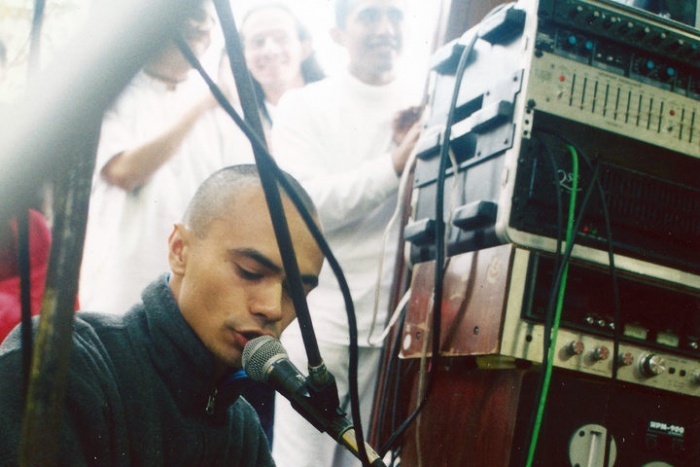 Despite the high acclaim Denver received for his work as Micronism, Mechanism, and the music he released under his own name, he stopped producing a year later in 1999, pursuing a newfound interest in the Hare Krishna faith. Since then he's spent time as a Krishna Devotee in Ashrams in NZ, Peru, and is now based in Brisbane with his wife and son.